At age 31, Nixon Arias cut a profile similar to many unauthorized immigrants in the United States. A native of Honduras, he’d been in the country for more than a decade and had worked off and on for a landscaping company for nine years. The money he earned went to building a future for his family in Pensacola, Florida. His Facebook page was filled with photos of fishing and other moments with his three boys, ages 3, 7 and 8. Arias received pain medication, physical therapy and steroid injections through his employer’s workers’ compensation insurance. But the pain in his back made even walking or sitting a struggle. So his doctor recommended an expensive surgery to implant a device that sends electrical pulses to the spinal cord to relieve chronic pain. Six days after that appointment, the insurance company suddenly discovered that Arias had been using a deceased man’s Social Security number and rejected not only the surgery, but all of his past and future care. 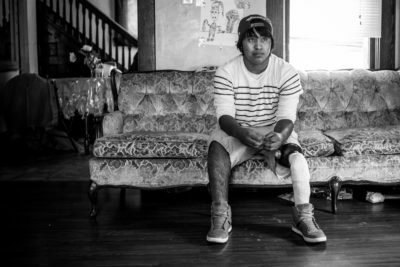 Desperate, Arias hired an attorney to help him pursue the injury benefits that Florida law says all employees, including unauthorized immigrants, are entitled to receive. Then one morning after he dropped two of his boys off at school, Arias was pulled over and arrested, while his toddler watched from his car seat. Arias was charged with using a false Social Security number to get a job and to file for workers’ comp. The state insurance fraud unit had been tipped off by a private investigator hired by his employer’s insurance company. 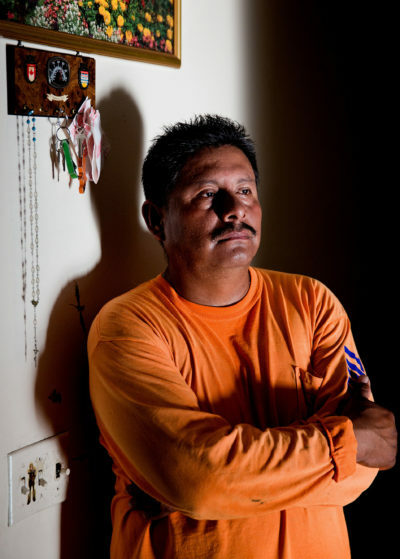 With his back still in pain from three herniated or damaged discs, Arias spent a year and a half in jail and immigration detention before he was deported. However people feel about immigration, judges and lawmakers nationwide have long acknowledged that the employment of unauthorized workers is a reality of the American economy. From nailing shingles on roofs to cleaning hotel rooms, some 8 million immigrants work with false or no papers nationwide, and studies show they’re more likely to get hurt or killed on the job than other workers. So over the years, nearly all 50 states, including Florida, have given these workers the right to receive workers’ comp. But in 2003, Florida’s lawmakers added a catch, making it a crime to file a workers’ comp claim using false identification. Since then, insurers have avoided paying for injured immigrant workers’ lost wages and medical care by repeatedly turning them in to the state. Workers like Arias have been charged with felony workers’ comp fraud even though their injuries are real and happened on the job. And in a challenging twist of logic, immigrants can be charged with workers’ comp fraud even if they’ve never been injured or filed a claim because legislators also made it illegal to use a fake ID to get a job. In many cases, the state’s insurance fraud unit has conducted unusual sweeps of worksites, arresting a dozen employees for workers’ comp fraud after merely checking their Social Security numbers. 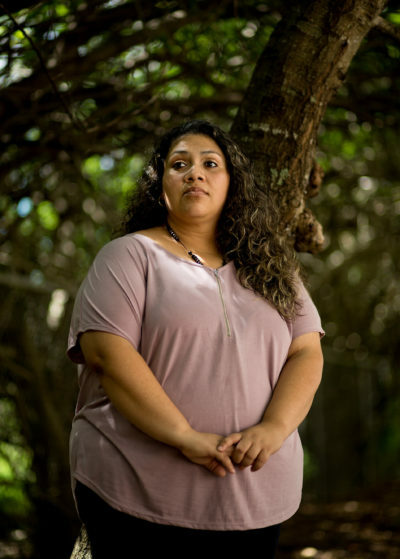 What’s quietly been happening to workers in Florida, unnoticed even by immigrant advocates, could be a harbinger of the future as immigration enforcement expands under President Donald Trump. One of Trump’s first executive orders broadened Immigration and Customs Enforcement’s priorities to include not just those convicted of or charged with a crime, but any immigrant suspected of one. The order also targets anyone who has “engaged in fraud or willful misrepresentation in connection with any official matter or application before a governmental agency.” That language could sweep in countless injured unauthorized workers because state workers’ comp bureaus and medical facilities typically request Social Security numbers as part of the claims process. In the last few months, a Massachusetts construction worker who fractured his femur when he fell from a ladder was detained by ICE shortly after meeting with his boss to discuss getting help for his injury. In Ohio, Republican lawmakers pushed a bill that would have barred undocumented immigrants from getting workers’ comp. It passed the state’s House of Representatives before stalling in the Senate in June. To assess the impact of Florida’s law on undocumented workers, ProPublica and NPR analyzed 14 years of state insurance fraud data and thousands of pages of court records. We found nearly 800 cases statewide in which employees were arrested under the law, including at least 130 injured workers. Another 125 workers were arrested after a workplace injury prompted the state to check the personnel records of other employees. Insurers have used the law to deny workers benefits after a litany of serious workplace injuries, from falls off roofs to severe electric shocks. A house painter was rejected after she was impaled on a wooden stake. Flagged by insurers or their private detectives, state fraud investigators have arrested injured workers at doctors’ appointments and at depositions in their workers’ comp cases. Some were taken into custody with their arms still in slings. At least 1 in 4 of those arrested were subsequently detained by ICE or deported. Blank insisted that his investigators’ efforts have nothing to do with immigration. But ProPublica and NPR’s review found that more than 99 percent of the workers arrested under the statute were Hispanic immigrants working with false papers. While Florida’s statute is unique, insurers, hardline conservatives and some large employers have been battling across the country for the past 15 years to deny injury benefits to unauthorized immigrants, with occasional success. In a little-noticed ruling last fall, an international human rights commission criticized the United States for violating the rights of unauthorized immigrants, including a Pennsylvania apple picker who was forced to settle his case for a fraction of the cost of his injury and a Kansas painter who was unable to get the cast removed from his broken hand until he was deported to Mexico. In Florida, cases against such workers have become standard practice for a group of closely affiliated insurers and employers. The private investigative firm they employ has created a wall of shame, posting the arrests it’s been involved in on its website. Critics say the arrangement encourages employers to hire unauthorized immigrants, knowing they won’t have to pay for their injuries if they get hurt on the job. The law’s real-life ramifications came as a surprise to one of the lawyers who helped draft it and who had no idea it had been used to charge hundreds of workers who’d never been hurt on the job. In Arias’ case, records show he never wrote the false Social Security number on any of the various forms related to his claim. It was printed automatically by the insurance carrier, using information from his employer. But that didn’t stop the state attorney from charging him with 42 counts of insurance fraud — one for every form the number appeared on. As part of the prosecution, investigators demanded Arias pay back $38,490.51 to Normandy Harbor Insurance for the medical care and benefits checks he’d already received for his injury. The insurer declined to comment. Back in Honduras, Arias, who struggles with chronic back pain, has been unable to find more than odd jobs. And he hasn’t seen his three U.S.-born sons in more than two years. The website of Command Investigations, located just outside Orlando, boasts of its success in hunting down workers’ comp fraud, posting like trophies a gallery of mugshots of mostly Hispanic men and women. But most of those pictured weren’t nabbed jet-skiing with a fake knee injury. They are legitimately injured workers who Command investigators caught using false Social Security numbers. Command Investigations boasts of its fraud arrests on its website, but most of those pictured are legitimately injured workers caught using false Social Security numbers. Command, which tipped the state off to Arias, opened up shop in 2012 and quickly rose to prominence in Florida by catering to the lucrative employee leasing industry. Unlike temp agencies, which find workers and task them to businesses, employee leasing companies promise to lower businesses’ overhead by hiring their employees on paper and then leasing them back. The basic premise is that by pooling the risk of several small businesses, leasing companies can bargain for better insurance rates. Such a setup is especially attractive to mom-and-pop firms in dangerous industries, such as construction. One of Command’s first big clients was Lion Insurance, whose affiliate SouthEast Personnel Leasing serves as the employer of record for more than 200,000 employees nationwide. According to its website, SouthEast generates $2.3 billion in annual revenue — about as much as clothing retailer J. Crew or the restaurant chain Red Lobster. One reason: SouthEast, as well as its insurance carrier, Lion, and its claims processor, Packard Claims, are all owned by the same person. The unusual arrangement gives the company more control over injury claims and a consistency other firms specializing in high-risk industries can’t provide. But critics say it benefits SouthEast in more pernicious ways: Knowing that Lion and Packard can deny the claims of unauthorized workers allows SouthEast to offer discounts to contractors that other leasing firms can’t. Controlling the empire from a six-story office building surrounded by palm trees in Holiday, Florida, is John Porreca, 68, who grew up in Philadelphia and worked in the leasing business before buying SouthEast with his wife in 1995. Despite owning one of the largest private companies in Florida, Porreca has managed to stay out of the public eye, showing up in the local press only rarely, such as when he donated the money for a baseball field for disabled children or bought a $4 million beachfront mansion, the size of which rankled neighbors. Porreca didn’t respond to multiple messages left at his office or home over the course of a month. In an email, Brian Evans, an attorney for SouthEast, said Porreca declined to comment other than to say that SouthEast “strictly adheres” to the law and is not responsible for what happened to its workers, even though the company’s investigators reported them to the state. Command’s president Steve Cassell also declined interview requests, citing confidentiality agreements with his clients. Bram Gechtman, a Miami attorney who has represented several injured SouthEast workers, said the sheer number of cases in which Lion and Packard discovered workers’ false IDs only after they were injured raises the question of why SouthEast doesn’t do more to screen its hires. Command and SouthEast have recently expanded to other states. Last year, a woman in Georgia was arrested for identity theft after a cart ran over her foot at a meatpacking plant and Command turned her in to the state workers’ comp bureau. In California, two staffing agencies sued SouthEast, saying its claims processor routinely denied workers’ comp claims based on immigration status, leading to litigation that increased the cost of the claims. 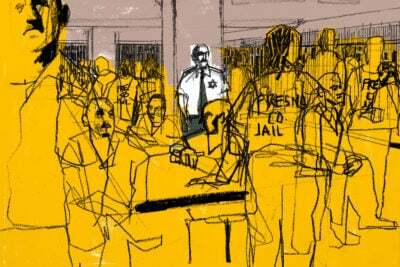 For workers, welcomed without question until they get hurt, getting caught in Command and SouthEast’s dragnet can upend otherwise quiet lives. 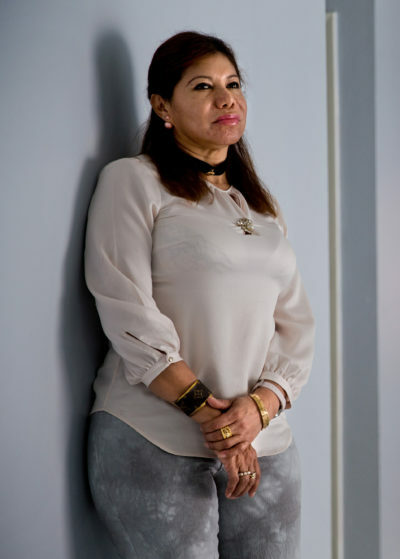 Berneth Javier Castro originally came to the United States on a tourist visa in 2005 searching for the woman he’d loved and lost during the war in Nicaragua in the 1980s. Unable to find her and facing debts back home for his house and his daughter’s school, Castro, now 52, overstayed his visa and found work at a St. Augustine roofing company in 2007. Initially, he was paid in cash under the table. 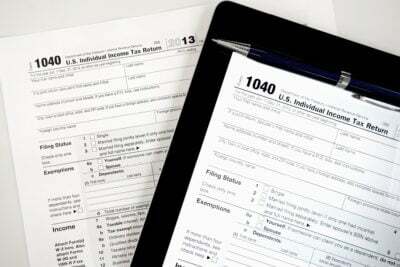 But after a few months, the company said he needed a Social Security number to continue working. So he bought one. It was the only way he could get work, he said. Like many unauthorized workers, Castro feared he’d be deported if he reported an injury. So when he sliced his pinkie on some copper sheeting and got nine stitches, he stayed quiet and kept working. But a few months later, when he wrenched his back passing a load of tiles to a coworker on a roof, the company sent him to a clinic. There, a company representative filled out the form since it was in English, Castro said. He didn’t recall the Social Security number he’d used, so the representative got it from the company and put it on the form. The workers’ comp fraud charges were eventually dropped, but Castro pleaded no contest to fraudulently using someone else’s identity. He spent five months in jail and was facing deportation before a judge granted him a voluntary departure to Nicaragua. Escobar sensed something was wrong when she suddenly stopped hearing from him. Then his phone was disconnected. “Every day, I went on Facebook, hoping and writing to him,” she said. A Florida appeals court, for example, ruled in 1982 that “an alien illegally in this country” is entitled to workers’ comp benefits. That presumption was thrown into doubt in 2002 when the U.S. Supreme Court ruled that a group of undocumented plastics workers fired for union activities weren’t entitled to back pay because of their immigration status. Insurers and large employers immediately flooded the courts with petitions designed to claw back labor protections for unauthorized immigrants. Leading the fight in Florida were employee leasing firms. The petitioners argued that undocumented immigrants weren’t entitled to workers’ comp since their employment was obtained illegally. Lawmakers in several states, from Colorado to North Carolina, introduced bills to block claims by unauthorized workers. As states courts and legislatures rejected that argument, insurers began pushing to deny immigrants disability benefits, arguing that once their unauthorized status was known, they couldn’t return, like other workers, to less intensive jobs. That reasoning succeeded in Michigan and Pennsylvania, but not in Delaware and Tennessee. In the last few years, employers and insurers have begun using a new tactic, arguing that they should only be responsible for paying lost wages based on what the immigrant would have made in their home country. In Nebraska, for example, meatpacker Cargill tried to cut off benefits to Odilon Visoso, who was injured when a 200-pound piece of beef fell on his head, saying it was too difficult to determine what he could earn in Chilpancingo, Mexico, a crime-ridden city controlled by drug cartels near his rural, mountainous village. Nebraska’s Supreme Court told the company to use Nebraska wages. Florida’s 2003 law was part of a sweeping overhaul aimed at lowering costs for employers. According to a state Senate review, the division of insurance fraud had pushed for the provision, arguing that “many times illegal aliens are in league with unethical doctors and lawyers who bilk the workers’ compensation system.” It was easier to prove that immigrants had lied about their identities, the agency said, than to prove their injuries were fabricated. In recent interviews, however, representatives from the state fraud unit and insurance industry couldn’t identify a single case where immigrants had worked with doctors and lawyers to defraud workers’ comp. Instead, they noted that false Social Security numbers impede insurers’ ability to investigate claims. In addition, they said, those claims could prevent the people whose identity was stolen from getting benefits if they are injured in the future. Within months of the provision passing, though, the Senate’s Banking and Insurance Committee recommended reconsideration, raising concerns that legitimately injured workers could be disqualified. But that advice was never heeded. The first criminal cases under the law showed up in 2006. The law netted laborers, farmworkers, roofers and landscapers. Several, like Arias, were hurt while working on public projects — renovating schools or pouring concrete at the zoo. But ProPublica and NPR also found arrested workers who’d been injured at McDonald’s and Best Western and turned in by major insurers like Travelers, The Hartford and Zurich. In another in 2014, an attorney for an injured worker complained to the state that a fruit-packing company frequently used immigration status as leverage in settlements. Instead of going after the company, investigators raided the plant and arrested 106 immigrants, including the injured man’s wife. One of SouthEast’s first cases involved a hotel housekeeper at the Comfort Suites in Vero Beach. Yuliana Rocha Zamarripa was cleaning a hotel room in 2010 when she slipped on a bathroom floor and slammed her knee on the bathtub, leaving her with pain and swelling so severe she was unable to walk. Lion sent her to a doctor, but quickly denied her claim based on a false Social Security number. Rocha’s mother had brought her to the United States from Mexico when she was 13, and when she turned 17, her father bought her the fake ID so she could work. With few options, Rocha, now 32, settled her workers’ comp case for less than $6,000 plus attorney fees. But she never got the medical care she needed. The week before she was to receive the check, she was arrested while making breakfast for her 4-year-old son. Rocha spent the next year cycling through jail and immigration detention, separated from her three children. She couldn’t sleep, worrying what would happen to them if she were deported. With the help of an attorney, Rocha pleaded to a lesser charge — “perjury not in an official proceeding” — and was finally released. Because of what happened to Rocha’s daughter, the attorney was able to get Rocha’s deportation canceled and help her obtain a green card. Rocha eventually received her settlement but had to spend all of it securing her release and dealing with immigration. She now walks with a limp because her injury didn’t heal correctly. The sting had been meticulously planned for weeks. The day before, detectives had scoped out the site — a two-story office building resembling a Spanish colonial mansion near downtown Fort Myers. Before the arrest, they tucked out of sight to surveil the building’s back entrance from across the street, according to the detective’s case report. The time and manpower wasn’t to nab a gang member or drug dealer, but a coordinated effort with Command to snare a 27-year-old roofer who was at a court reporter’s office to testify in a deposition for his workers’ comp case. A year earlier in 2014, Erik Martinez was working on a roof when a nail ricocheted and hit him in the left eye. He was seeking medical care and lost wages, but like many construction workers, he was using a false Social Security number. Though it was ostensibly a Florida Department of Financial Services operation, a state detective had worked closely with an attorney for Lion on a plan to alert officers in the final minutes of the deposition. In between questions, the attorney emailed the detective, at one point providing a description of Martinez’s clothing. “We moved our position to the back parking lot,” the detective wrote in his report, “where we awaited word that the deposition was nearing an end.” Upon receiving confirmation, the detectives moved in, arresting Martinez as he exited the office. Despite the extensive effort, the state attorney declined to prosecute. But the detective’s narrative reveals a larger story: In most of the injury cases reviewed by ProPublica and NPR, state fraud detectives were handed a packet from private investigators with nearly all the information needed to make an arrest. During an hourlong interview in Tallahassee, Simon Blank, who heads the department’s Division of Investigative and Forensic Services, said his detectives conduct their own investigations and make their own decisions. Arrests at depositions, he said, only occur when they have a hard time locating somebody. While Blank repeatedly expressed compassion for immigrant workers who are legitimately injured, he noted that people whose Social Security numbers are used could face problems with their credit or getting medical care if a claim that wasn’t theirs showed up in their records. The widow of the Mississippi man whose Social Security number Arias was using, Carolyn Lasseter, said it hadn’t affected her, but she doesn’t “feel sorry for people that are over here illegally.” When she bought a house after her husband’s death, the bank informed her that a different man had used his number to take out, and pay on, a loan, but it was easily fixed. Among the nearly 800 cases that ProPublica and NPR identified, only five fit the reasons Blank cited. Blank seemed unaware that earlier this year, his own office’s annual report noted that “nearly 100 percent” of the suspects investigated under the statute were undocumented workers. Burke predicted Florida would have a tough time defending the law if it’s ever heard on constitutional grounds. After the Arizona ruling in 2012, one attorney challenged the Florida statute’s constitutionality, but both Florida and U.S. supreme courts declined to take the appeal. Unlike Arizona’s law, the statute doesn’t mention immigrants specifically. But Burke said the enforcement data and the stated intent to target immigrant fraud rings are problematic. Told of what had happened to some of the arrested workers, Blank said he felt for those people but reiterated his agency’s obligation to protect the workers’ comp system. A month later, Command turned him in to state investigators after he provided a false Social Security number to an insurance adjuster. Dominguez said he told the adjuster he didn’t have papers and had made the number up in order to work — details that by themselves wouldn’t preclude him from receiving workers’ comp. But Dominguez said the adjuster insisted she needed the number to pay him benefits. Sunz Insurance and North American Risk Services, who handled the claim, declined to comment. At the time, Dominguez still couldn’t bend his knee, so he had to sit with his legs extended across the backseat of the police car. Dominguez pleaded no contest, and the judge sentenced him to two years probation and ordered him to pay back nearly $19,000 in restitution to the insurance company. He was detained by ICE and put into deportation proceedings. Michael DiGiacomo, owner of Platinum Construction, which employed Dominguez, was surprised to hear what had become of him. DiGiacomo said Dominguez was a reliable worker, and he didn’t know his documents were fake. After Dominguez got hurt, he said, his injury was in the hands of the leasing company and their insurer. Dominguez’s attorney has argued for a judge to cancel his deportation because of the harmful effect it would have on his U.S.-born son. His attorney is hopeful he will get a visa to stay. Nixon Arias’ attorney Brian Carter said what the state and insurance companies are doing amounts to entrapment and ethnic profiling. In the end, turning in Arias didn’t get the insurer off the hook. Because the state attorney offered a plea deal, Normandy would’ve had to convince a workers’ comp judge that Arias had not only used a fake Social Security number but that he had done so to obtain benefits. If it couldn’t, it would have had to pay for medical treatment and lost wages potentially totaling hundreds of thousands of dollars, Carter said. So with Arias in Honduras, Normandy offered $49,000 plus attorney’s fees. Despite having the settlement money, Arias said he doesn’t trust the doctors in Honduras to perform a delicate back surgery. “Here, they’re more likely to send you to the cemetery,” he said. He hopes the United States might allow him to reenter for humanitarian reasons, just to let him get the operation — and perhaps see his kids. Research contributed by Meg Anderson and Graham Bishai of NPR and Sarah Betancourt of ProPublica. Translation services contributed by Donatella Ungredda. Do you have information about how immigrant workers are being treated in the age of Trump? Contact Michael at [email protected].